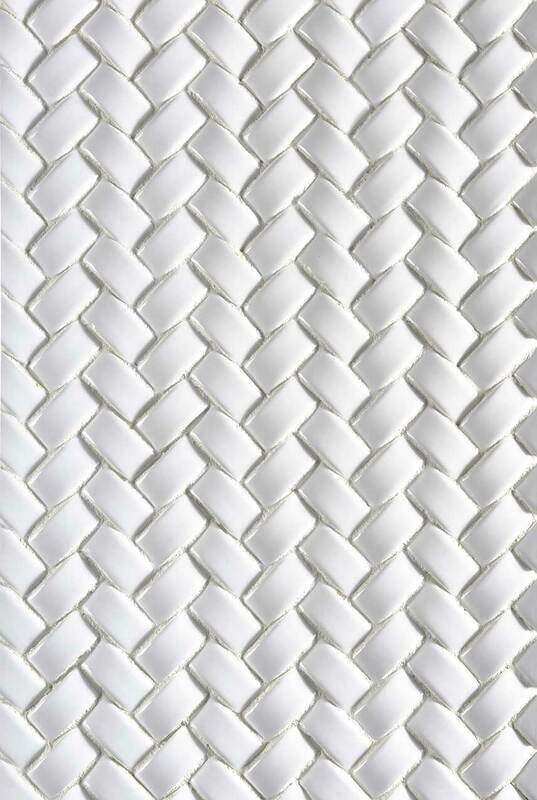 This backsplash tile design features our Whisper White Arched Herringbone tile, an elegant 3D white ceramic tile. Adding texture, pattern, and dimension, the soft white tone is a perfect complement in its subtly to designs with intricate details in cabinetry and flooring. Perfect to complete an all-white kitchen, or as a contrast, our Whisper White Arched Herringbone kitchen backsplash tile is sure to give the character your design calls for.